A few months after the defection of a former governorship candidate, Ibrahim El-Amin, to the Peoples Democratic Party in Kano, a former member of the House of Representatives, Bala Baiko, has followed his footsteps out of the ruling All Progressives Congress in the state. Mr. Baiko, who was elected to the House of Representatives in 2003 under the defunct All Peoples Party, told journalists while decamping that members of the All Nigerian Peoples Party had been sidelined since their party joined other legacy parties to form the APC. 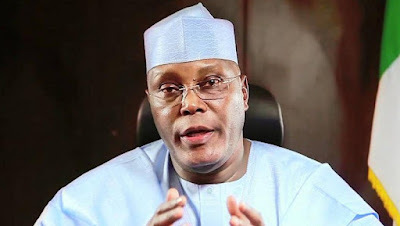 He noted that Mr. El-Amin, popularly called Little, and former Vice President Atiku Abubakar had complained of neglect in the APC, saying his numerous followers were similarly not carried along in the scheme of things in Kano. Mr. Baiko said he and his followers were only remembered during elections after which they have been cast aside by those in government. Mr. Baiko said he and his over 20,000 supporters across Kano were defecting to help the PDP win all the forthcoming elections in the state, including the governorship. He said he was going back to the PDP to join old political allies with whom he had worked together in the past, saying it would be easy for him to blend in the party. Mr. Baiko said former Vice President Abubakar was also going back to the PDP, claiming all the plans had been concluded. Mr. Abubakar, although complained of not being carried along by the current APC administration, has not said he plans to leave the party for the PDP.